Hillcrest Conservancy offers an intensive half-day training course to assist and uplift gardening skills. The course will give a brief overview of the importance of our natural environment (your garden) and the need to preserve it. 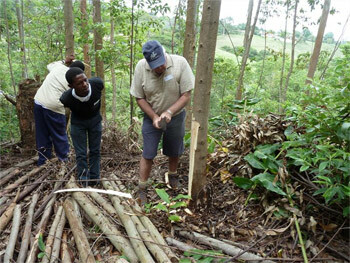 Identification and eradication of the most common alien and invasive plants. The course is aimed at educating gardeners to ensure that your garden complies to some extent with the Alien Plant Control Regulations, is a safe working environment; and which you and your employee/s enjoy. Employers and others, who wish to attend, are also welcome. Tea will be provided but attendees should bring their own food. Advance payment to confirm your booking: EFT Payment preferred as cash deposit fees reduce your payment OR cash payments with your details may be handed to a committee member. Proceeds are used for on-going Hillcrest Conservancy projects, e.g. A&IP control and education. Hillcrest Conservancy is a non-profit group of volunteers and relies on your support to protect the environment.